The Blog today isn't meant to be metaphorical but it could well be because learning to be a better artist is about taking little steps and trying something different. Those of you with children encourage them not to be afraid to try something different in their drawings and paintings. And its okay to challenge them occasionally to draw or paint something a little more difficult. Failure is an essential part of all learning. But back to the Steps and Stairs. Personally I love to paint them because they help to tell a story. 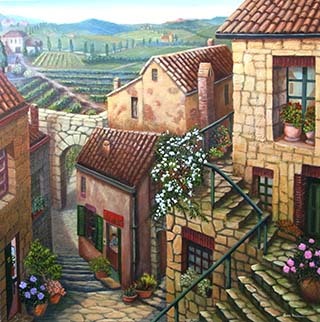 If you’re painting a townscape Steps or Stairs entice the viewer to look up or down and to wonder what might be beyond the steps. 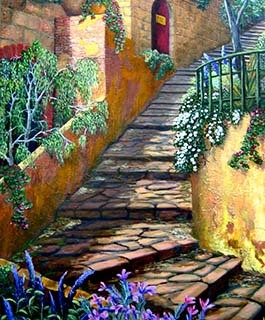 Here are a couple of my own paintings which feature steps. 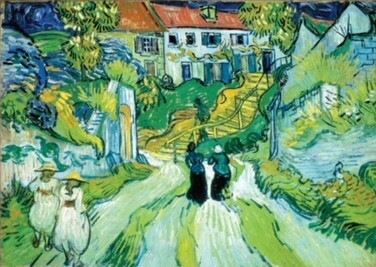 Stairs are a very popular motif to include in paintings and photographs as illustrated here with a couple of relatively unfamiliar paintings by Vincent Van Gogh. Don't you find yourself wondering where are these people going? Each person has his or her story. To continue the metaphorical connection to Stairs check out these images by local photographer Pam Morris. Quite brilliant. 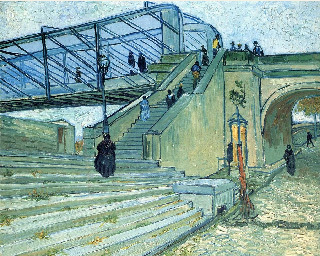 Send me your favourite paintings or photographs of Steps and Stairs and I’ll feature them in the Blog. And for those of you Painting the Town with me and following the videos we will be returning to our PaintAlong very soon and yes we will be painting in some steps.